For their ‘Fall Wedding Invitation Suite’ Laura and Jerico had a really good idea of what they liked and didn’t like which is always a plus for a designer giving me a place to start the process. They had lots of photos and visual aids to explain what they were looking for. 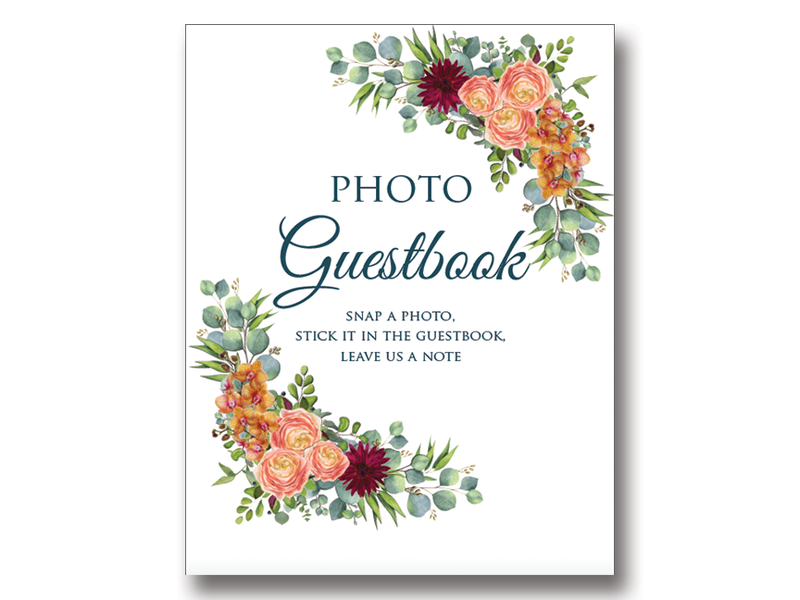 They chose a floral design using images of the same flowers they were using for their wedding decor. This was a perfect way to set the feeling of their outdoor wedding with fall colors and love of nature. The best part of being a graphic designer is the variety of projects that come my way to create. 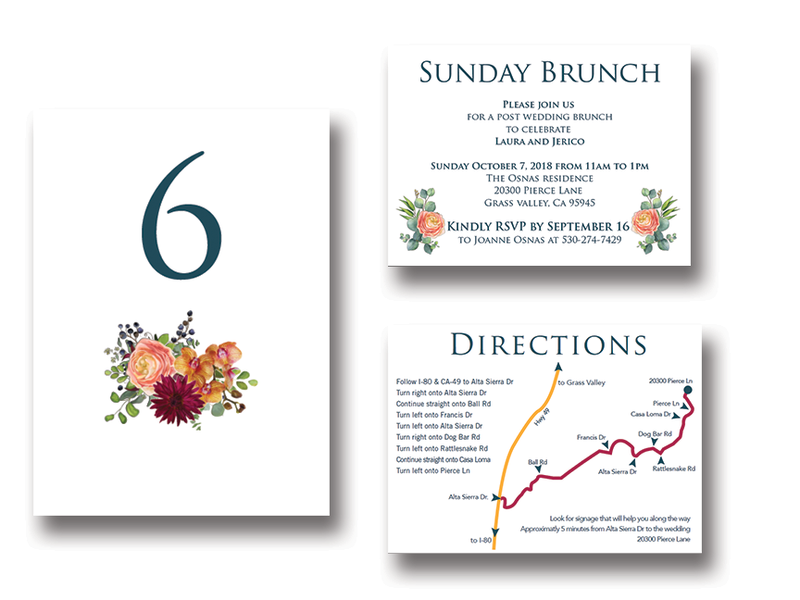 I enjoy creating Wedding Invitation Suites because it is usually created over a long period of time, sometimes a year starting with a save the date to signage for the wedding day. Collaborating with a newly engaged couple is a wonderful journey of exploration and discovery for both me and for them. Great relationships are made, too. 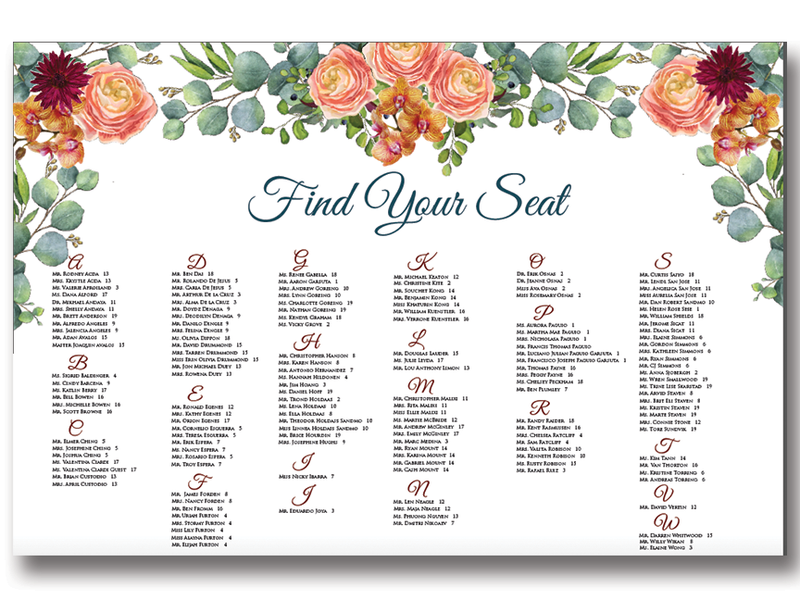 Congratulations to the newly weds and thank you for allowing me to create your Fall Wedding Invitation Suite.